Okay, this time I just start with paper. 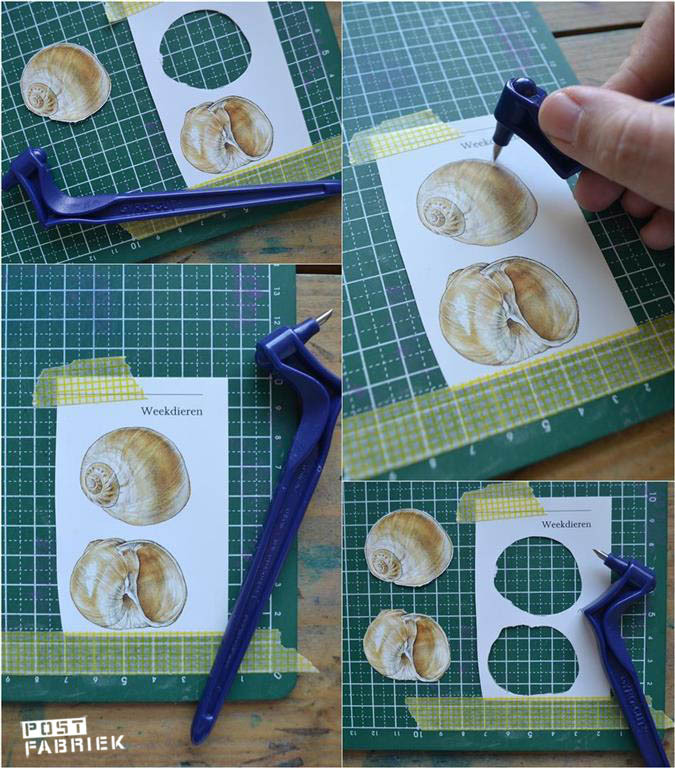 I choose a shell with a simple shape and test the difference between with a white edge and drawing over the edge of the illustration. Someone else gave the tip to just follow the lines, the knife follow you. I believe that I have a knife with a own will and that I put too much pressure because I don’t get the smooth line I hope for! Another tip is to try to cut as much as possible in one line / movement with the tip. The knife ends in a tip, and you have to use that tip to cut. As I practice more, it’s getting easier and smoother! Tip! 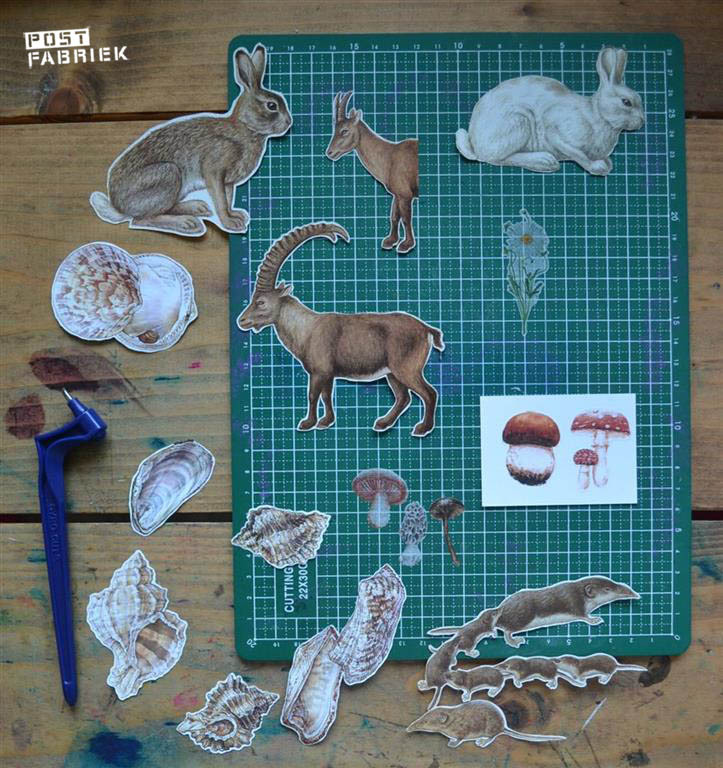 Stick your paper wirh some washi tape of adhesive spray, this gives you some grip. 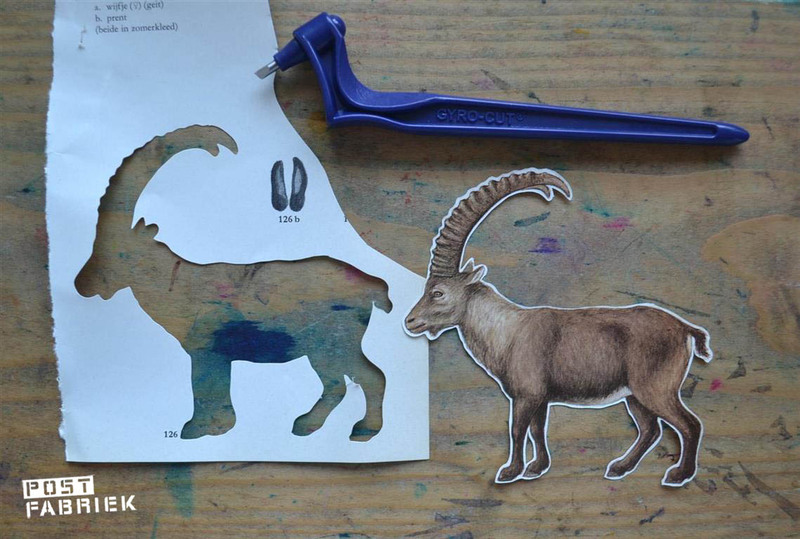 Once I get the hang of it, I choose illustrations to cut out. Just because it is a nice job ánd it succeeds better and better. Now that the paper is already working better I’m going to try the washi tape! If you wonder why I cut out illustrations and washi tape … I like to use these illustrations for my mailart and in my journal . 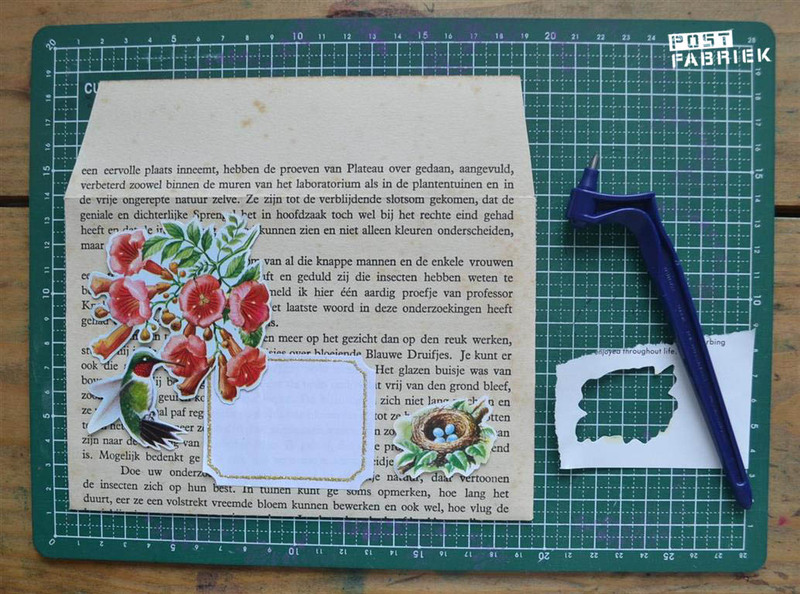 I mainly use the cut-out washi tape for washi circles (Here is a step by step description) while I use the illustrations for the collages on my envelopes or on cards. 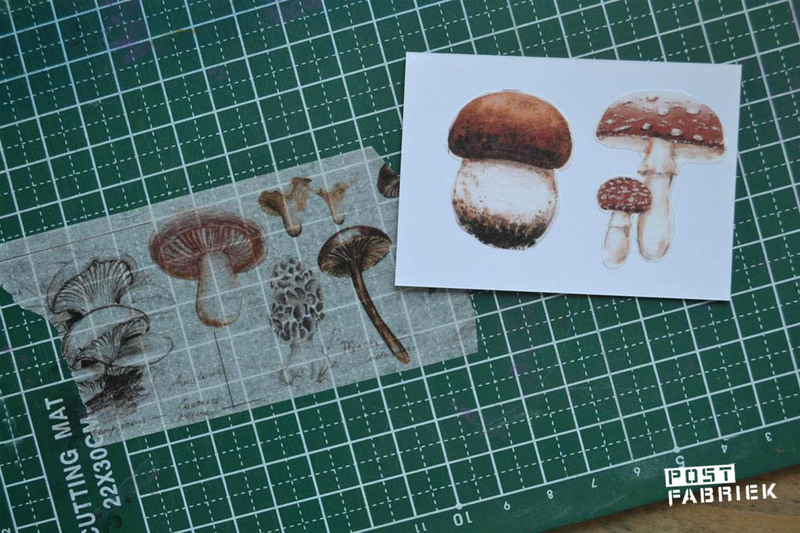 The mushrooms you can use on letter writing paper, in your journal of on your mailart! Now that I got the hang of it, I am very happy with my Gyro Cut, especially for the washi tape I find it very useful. 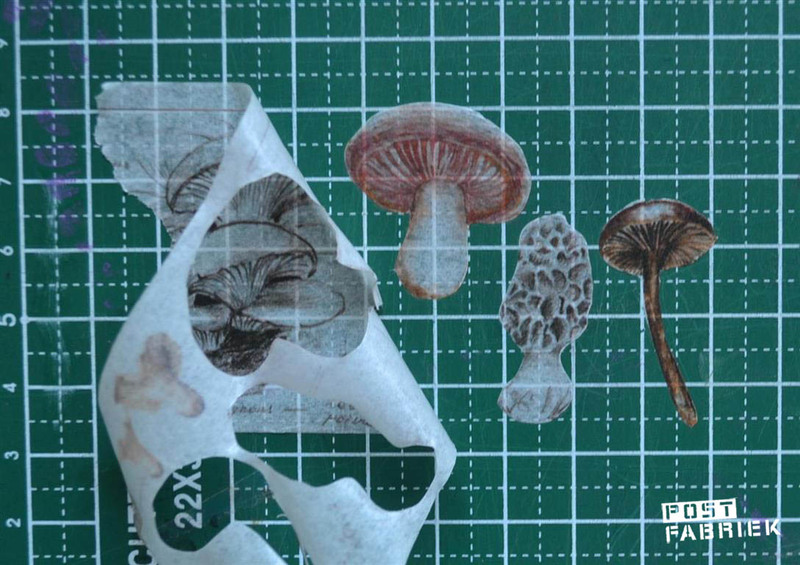 Normally I stick the washi tape on a piece of parchment paper to cut it out. Wich is not always easy due the sometimes small pieces. So on a cutting mat and with the blade, it’s faster and better. The knife is also handy for the small legs and compartments where it is difficult to get in with your scissors! 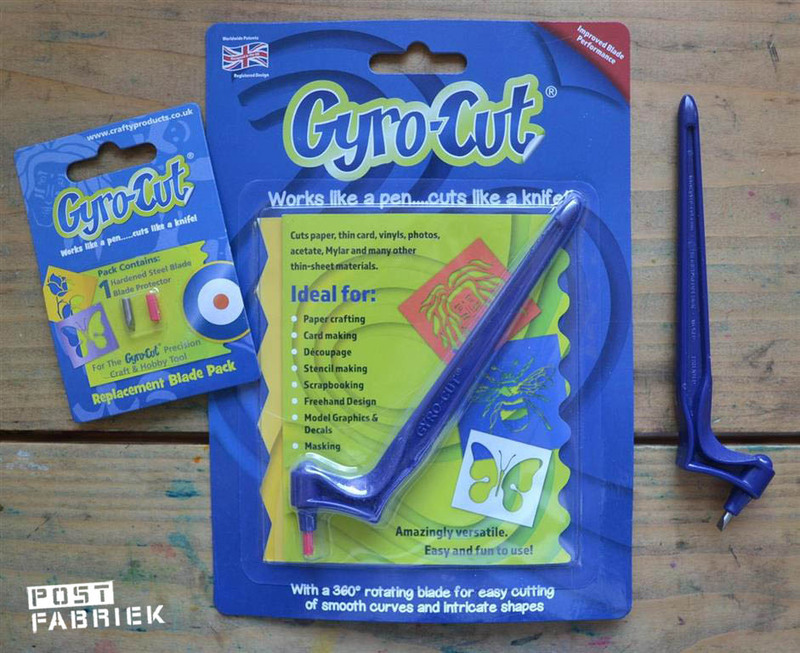 Or the Gyro Cut wins from my scissors, I still doubt about that because I am very attached to my scissors but I do notice that last week I always grabbed my Gyro Cut instead of scissors when I wanted to cut out a illustrations. Because yes, it’s easier and faster. Th Gyro Cut absolutely wins from the normal knife/scalpel I used to use, because I can only make ugly, angular shapes or straight lines. Another big advantage is that this knife does not cut into skin, only in paper etc. Making it a relatively safe product to use! I am very curious how long the knife stays sharp but you will hear that later. Are you curious about this knife? You can find it here at Café Analog , Desirée is currently enjoying her holiday but there is a nice discount code: ‘ love4analog´ where you get a 10% discount! The orders will be sent at the end of the month!